When assessing a manuscript, please use the following categories. Is the subject of the article within the scope of the journal? Does the title clearly and sufficiently reflect its content? What are the manuscript’s objectives and main arguments? What larger conceptual or theoretical points does it make? Is this a new and original contribution? Are the interpretations and conclusions sound and justified by the data? What does the manuscript add to our understanding of British Columbia? How well is the manuscript researched, argued, and organized? Are the illustrations and tables necessary and acceptable? Are the references adequate and are they all necessary? How important is it that this manuscript be published? 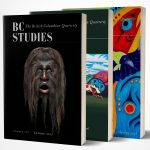 How significant is its contribution to understanding aspects of British Columbia? How broadly based will its readership be? Do you have any suggestions for improving the manuscript? How accessible is it to readers? Can you suggest brief additions or amendments (words, phrases) or an introductory statement that will increase the value of this paper? Can you suggest any reductions in the paper, or deletions of parts? Would the manuscript be more effective if reconceptualized, reorganized, shortened, or tightened up? Please be as explicit as possible.